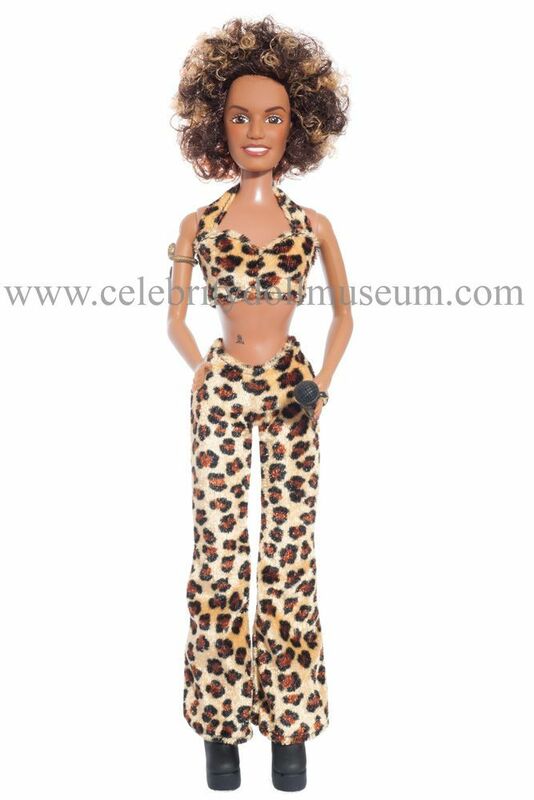 The Melanie Brown celebrity doll portrays her as Scary Spice in the all woman band Spice Girls. The doll was made by Galoob (now Hasbro) in 1997. The Spice girls are: Victoria Beckham as Posh Spice, Melanie Brown as Scary Spice. Emma Bunton as Baby Spice, Melanie Chisholm as Sporty Spice, and Geri Halliwell as Ginger Spice. This doll and the other four Spice Girl celebrity dolls in the collection are from the Girl Power collection. 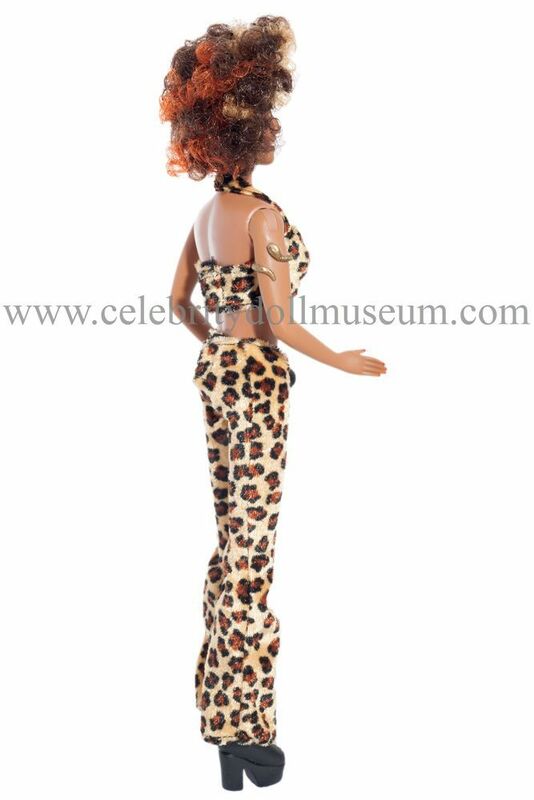 The dolls became a huge hit during the Christmas seasons of 1997 and 1998, selling over five million. Eleven different sets of dolls were released. 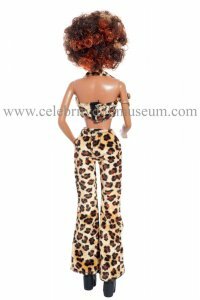 A “Sound Stage” play set was released and extra costumes “Spiceworld Fashions” (two sets of four fashions), later sold as “Spice It Up 2”. 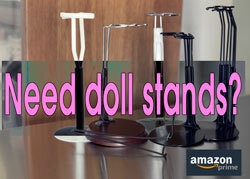 The most sought after line of all the dolls is the original “Girl Power” set. The set features Geri Halliwell in her iconic Union Flag dress. 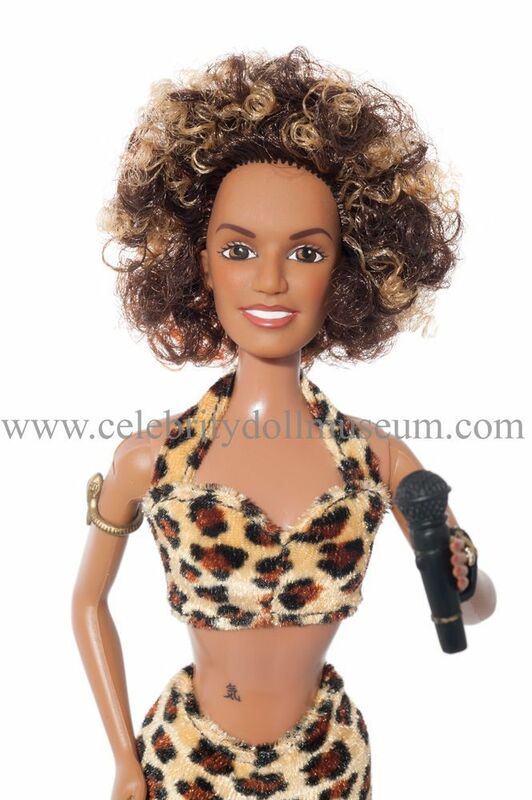 Dolls featuring the girls with outfits from their music videos were planned, but never released. “Girl Power” – Autumn 1997 – ©1997 Galoob Toys, Inc. The Melanie Brown doll is wearing a faux leopard skin outfit of pants and halter top, black platform shoes, a gold snake bracelet on her right bicep, and carries a black microphone. The doll has a tattoo on the stomach. 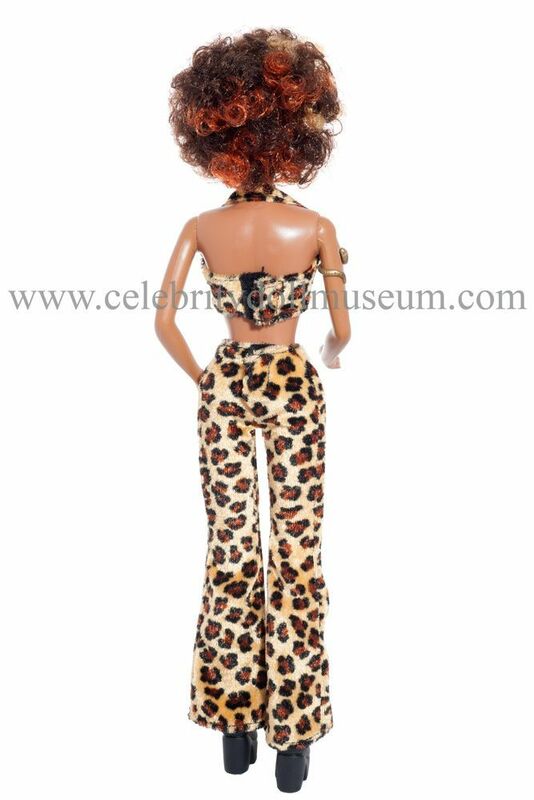 Price check the Melanie Brown doll at Amazon.